Things are looking brighter in our great lakes state. Unless, of course, one wants to use a light bulb to make it so. “Andrew Watt says he figures the shelf life of an auto engineer looking for a job in Michigan is about three days. Companies that wait longer than that will have to get back in line for the next candidate. Demand, Supply .. Funny how such things work. The long term effect of our emerging technical interaction with each other will continue to create demand for such things as better engineered automobiles, heavy equipment and other manufactured goodies. But the most important thing that ties it all together is electricity. 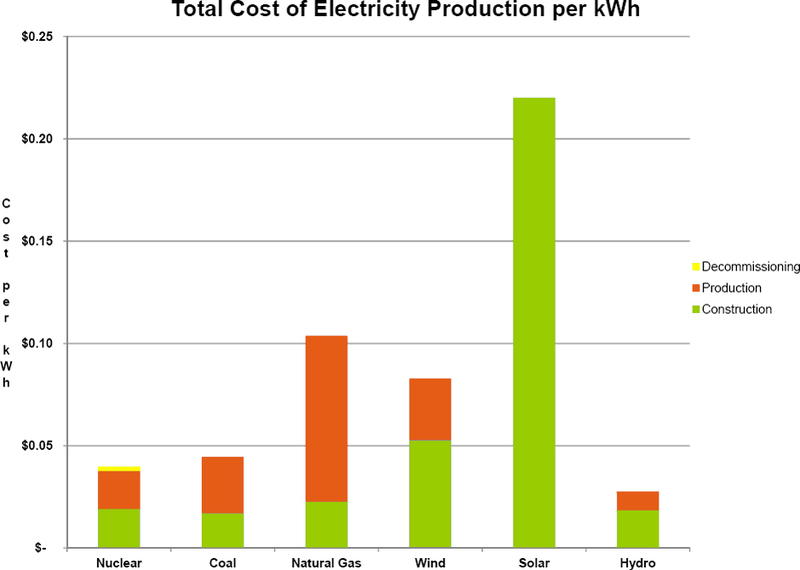 Cheap, abundant electricity that will continue to power the goodies, toys, and necessary equipment that keeps us healthy, mobile, and interactive. Environmentalists in Michigan, need to mature into the continuing reality of our still relatively industrial state. Those idealists growing up and believing the world of The Lorax exists around us need to stop believing in the fairy tale promises of such efforts as the United Nations 25×25 plan which will appear on your Michigan ballot in November. And yes, I DID say, the United Nations plan. The 25×25 number is no coincidence. In fact even proponents would likely point those who are curious to 25×25.org, to get their curiosity sated. What is barely discernible from the outward front of the site is its United Nations Related ownership. (note the contact email for the connection) The UN of course, has been steadily promoting its globalization platform to equalize all the population into an equal state of misery with its Agenda 21. Even as people are awakening to the UN Agenda 21, and its effects on private property and the way we live our lives, its still plodding forward slowly driven by the inertia of roughly 20 years. In 1992, we were told that the rest of the world was poor. And poor, not because of their own despotic governments, central planning, or inefficient socialist tendencies, but rather as a result of our (U.S.A.’s) own successes. And Bill Clinton couldn’t wait to sign on. And on June 29, 1993, The “President’s Council on Sustainable Development” was established by Executive Order No. 12852. Its mission described as “solely advisory in nature” though since that time, countless federal grants and incentives to local governments through COG functionaries (‘Council of Government’ – Non government organizations, but partnered with government) have been given. Those non profit NGOs have then acted to finance the implementation of zoning and planning rules that wouldn’t have had the interest without the seed money feeding planners and local officials who express a desire for cool cities, village centers etc..
A21 and its accompanying Rio Declaration are pretty clear. To achieve sustainable development and a higher quality of life for all people, States should reduce and eliminate unsustainable patterns of production and consumption and promote appropriate demographic policies. What is Unsustainable? And who decides the ‘demographics?” And it likely cannot be done without an excessive amount of planning. We have been wondering up here in the hinterland why some rural communities and townships would EVER consider hiring urban planners to work full time. Perhaps it was the free money to start doing so? One of those MSU trained planners locally developed an ordinance for campgrounds locally that restricted the ability of a family to live on the campground they built to only September. Stating “It would be a Residence then..”, the planner pointed to it as a zoning argument. Yeah, because an owner living on his own camping property violates everyone else’s rights. “And manufacturing is what Michigan has always been about. No Utopian vision of cool cities and green ‘great societies’ where we are all fed like pigs with a trough, can undermine the fact that Michigan’s secret to success has always been its ability to craft, create, or build, and its secret to recovery will be the same. A higher cost to manufacturers translates directly into either higher cost of goods, a few less people on the line, or even more devastating a loss of a company altogether. According to a September SMU study, energy could be particularly hurtful to Upper Michigan’s core industry, paper. A higher cost of energy in the Midwest, means higher costs to mine ore, produce steel, means losses of jobs there, and results in double whammy to the upper peninsula paper producers.Oh, and costs WILL be higher. Even directly to the consumers in the UP by the actions of this administration’s EPA, the cost of electricity will likely increase by 4 cents per KWH. A shutdown of this particular plant in Marquette will require the building of a transmission system from Wausau, WI at a cost of a Billion bananas. Typically, those costs are passed along to buyers of electricity, ya know? When considering the cause and effect of such overreaching regulatory efforts on Michigan’s working class, one might consider such factors to be important. If overall health concerns are truly paramount, then the cause and effect might matter to a discerning leader. If economic health concern is a part of the equation then any leader who feigns ignorance of such effect is derelict in his or her service representing us. You know, if someone were to point out that space debris and mind control waves enters our atmosphere daily, shouldn’t we as a precautionary measure wear tinfoil helmets when outdoors? Certainly lack of scientific certainty should not be used to hinder our absolute safety. I am sure they could be purchased cheap, or made with your left over thanksgiving baked bean covering. ” … Beginning no later than 2025, at least 25% of each electricity provider’s annual retail electricity sales in Michigan shall be derived from the generation or purchase of electricity produced from clean renewable electric energy sources. The foregoing clean renewable electric energy standard shall be implemented incrementally and in a manner that fosters a diversity of energy generation technologies. Facilities used for satisfying the standard shall be located within Michigan or within the retail customer service territory of any electric utility, municipally-owned electric utility or cooperative electric utility operating in Michigan. Consumers shall be charged for electricity from clean renewable electric energy sources in the same manner and on the same basis as for electricity from other sources. 1% increase in cost limit? Yeah.. Good luck with that. The chart below gives an example of the comparisons. “At least 74,495 Michigan jobs will be created if the Michigan Energy Michigan Jobs renewable energy ballot proposal passes in November, according to a new report from researchers at Michigan State University. “The Michigan Environmental Council’s press releasesaid that the Michigan Energy, Michigan Jobs renewable energy ballot proposal would create 74,495 jobs.However, the report never said it would create 74,495 jobs, but instead said it would create that many “job years.” It’s an important distinction in economic analysis that the MSU report acknowledges. Yep, things are indeed looking up. Up, as in Cost to produce goods, unemployment, wealth and technology transfer overseas, and overall misery index. The 25X25 Ballot initiative would be more like a 2×4 on the back of the heads of job creators in Michigan.